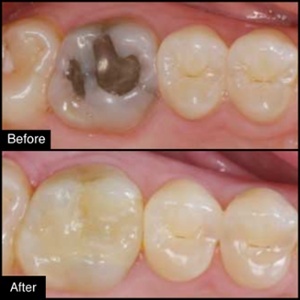 A tooth colored composite material is used to produce a natural result. A Dental Inlay is used to replace moderate sized areas of teeth that have been damaged due to tooth decay or trauma that are too large to be repaired by fillings, but more conservative than crowns. 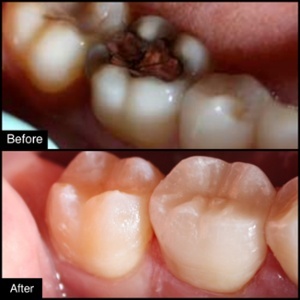 An onlays allow us to restore your tooth without removing any healthy tooth structure. Just as a dental inlay, onlays are fabricated outside of the mouth and are typically made out of gold or porcelain.